The term “manowar” can refer to a lot of very different things. It’s a metal band from New York that at various times held the Spinal Tap-esque title of “World’s Loudest Band". It’s the name of a famous horse in the ’20s that is considered by several prestigious organizations as the greatest racehorse that ever lived. And my personal favorite: the Portugeuse Man o’ War, a truly bizarre jellyfish-like sea creature made up of a whole colony of smaller animals with one hell of a painful sting. The original meaning of the phrase comes from British warships from centuries past that had tons of cannons and other murder-y things like that, and it’s this definition that the game Manowar ($1.99) by Lachlan Nuttall uses as a jumping off point for a series of maddeningly clever puzzles. Each stage in Manowar begins with the outline of a ship at sea. On the outsides of the ship are cannons, and on the inside are cannonballs. Your goal is to roll the balls into the cannons and fire them into oblivion, at which point the level is won and you move on to the next. However, this is a puzzle game, so while that premise may sound really simple on the surface, it can actually be super complicated in practice. The trick is trying to get the balls into the cannons in the right order. 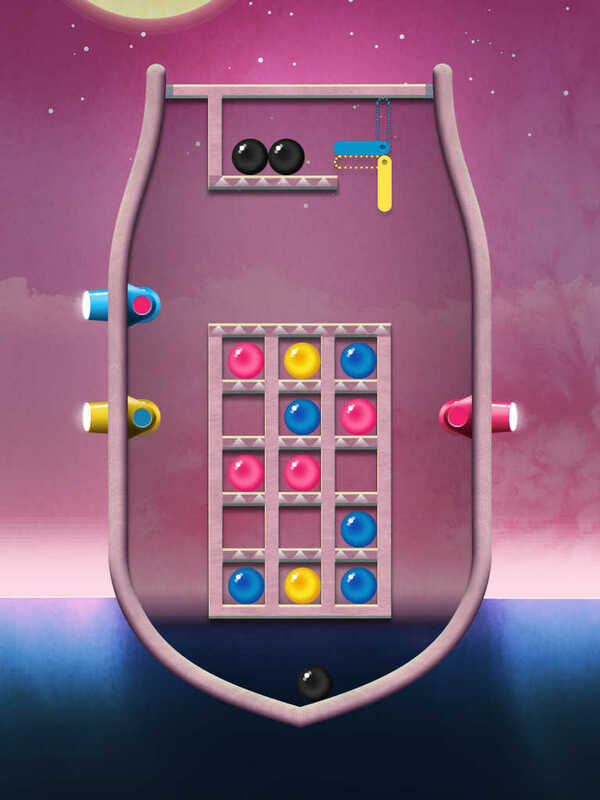 See, the insides of the ships contain different wooden platforms that the balls roll along when you tilt your device. You can roll them from a higher platform onto a lower one (yay, gravity! ), but what if you need to get a ball higher? Well, that’s the main gimmick of the game: when you fire a cannon, all of the balls on screen jump into the air at once, allowing you to reach higher platforms and cannons. The solutions to the puzzles are often incredibly devious as you need to figure out (sometimes through careful study at the start, sometimes through trial and error) where to put each ball at what time, when to fire each cannon, and even how to stack balls when the need arises. Making things even more complex are the various wrinkles that get incorporated into the formula as you progress, like different colored balls that only jump when their cannon is fired, floors that can be jumped up through, portals that change ball colors, and walls that move when a cannon is fired. To say the puzzles can get rather difficult is a pretty big understatement, as there are some that will basically snap your brain in half. For example, I more or less breezed through the first eleven levels and then ran head-first into a brick wall at 12. I was stuck for a good fifteen minutes and had to retreat to the forum thread with my tail between my legs looking for help. After that I felt slightly better equipped for the challenge, but a few levels later I started getting stuck again. Do not be fooled by the game’s friendly demeanor; it’s no pleasure cruise. Actually, scratch that last thing. Despite the somewhat uneven difficulty curve, the game most certainly is a pleasure. It’s beautiful to look at, the central puzzle mechanics are solid, and there’s a slight platforming bent to the physics that is pretty welcome. On paper the initial number of levels may seem small (48), but there’s a surprising amount of replay value since you can speedrun each one for the best time on the leaderboards. 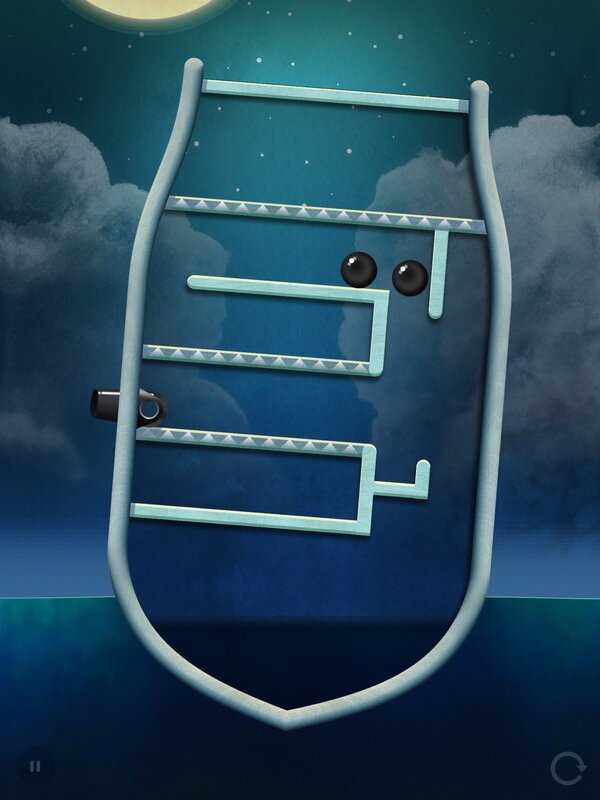 You can also unlock a hidden set of levels that are even harder, so good luck with those. In all, it’s a great little package that feels complete–and completely rewarding–so long as you don’t mind exercising the ol’ gray matter a bit. It may not be the Loudest iOS Game in the World or the fastest horse, but this Manowar definitely has a sting to it. Next PostNext ‘Apocalypse Meow: Save the Last Humans’ Review – Do Cats Eat People?